Clacton Air Show will definitely take place next year. That is the promise of Tendring District Council (TDC) Leader Peter Halliday following the huge success of August’s event. Cllr Halliday told the Cabinet at a meeting today that budget projections for the 2013 show had been exceeded in nearly all areas. “While we still have a few invoices to be received and finalised I can confidently say that we are in a very healthy position – despite spending more money on flights than ever before” he said. “Our bucket collection over the two days of the air show brought in £9,500 and this is compared to just under £1,000 last year. There were 7,000 programmes produced and printed by Green Square Communications at no cost to the Council and sold at £4 each. Some 4,750 were sold in advance or on the days of the event and a further 500 were provided to sponsors, advertisers and stakeholders leaving 1,750 which are still available from the Tourist Information Centre at Clacton Town Hall. “We have received many positive comments about the excellent quality of the programme and the inclusion of a free poster inside,” added Cllr Halliday. “We put on a high quality flight programme which included the Vulcan and Red Arrows and a host of top entertainment on the ground. On top of the direct finances for the show it also generated more than £4million for the local economy, over and above what would normally be taken over the Bank Holiday weekend. 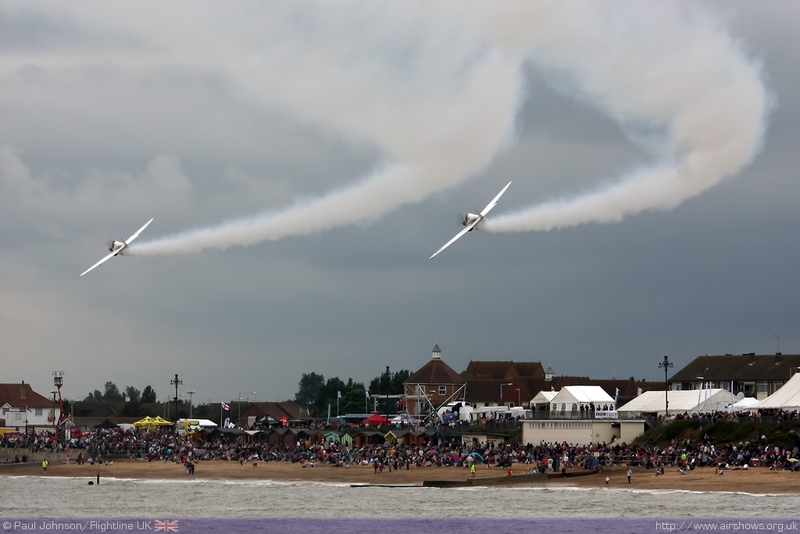 The 2014 Clacton Air Show will take place on August 21 and 22. “The income from this year’s event, including the amount generously given in the bucket collection means that we will definitely be going ahead next year,” said Cllr Halliday.